A recent, widely-reported research article* reports that the act of doing a yoga side plank on one specific side will actively decrease the curves in people with scoliosis. As a certified Pilates instructor with scoliosis and an advocate for movement in treating scoliosis, I was definitely intrigued. 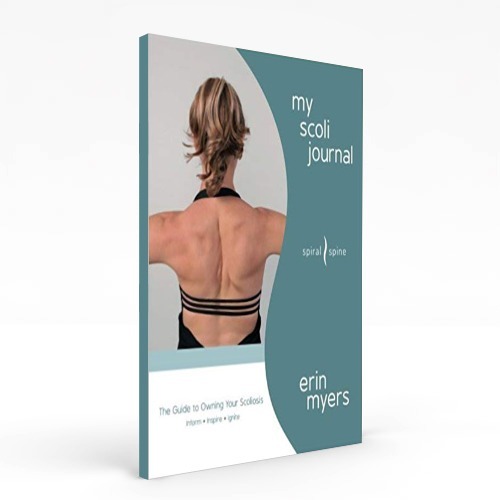 With an estimated five to seven million people in the United States living with scoliosis, a miracle cure (as in, a simple exercise done for one-and-a-half minutes for only five days a week) would of course garner national attention. But after doing extensive research on my own, I’ve discovered a huge problem with this recent research: the plank was done on the wrong side. Despite unknowingly having their participants conduct the plank on the wrong side, the researchers were still able to report that an overwhelming majority of the participants experienced overall decreases in their individual Cobb Angle measurements. Before I detail my own findings, which directly contradict the aforementioned research, it’s important to note that I’m a huge proponent of studying the effects of exercise on scoliosis. So little research exists, despite being desperately needed so that the medical world at large and the millions of those living with scoliosis discover that exercise is indeed a viable therapy. I studied the research report meticulously and for final reference, I consulted Three-Dimensional Treatment for Scoliosis: A Physiotherapeutic Method for Deformities of the Spine written by Christa Lehnert-Schroth, P.T. where I located the exact side plank exercise referenced in the current study. There I found that contrary to the recent report, the exercise is supposed to be done with the CONCAVE side of the curvature in the rib cage aiming down towards the floor. The researchers had it opposite, having patients do a plank with the CONVEX side down. Even so, the subjects still reported positive results. How was this possible? I had to dig deeper. The researchers relate guy wires (muscles) holding up a tower (the spine) to the spinal extensors, or the set of muscles running up and down near the spine. They state that the left extensors are bending the tower to the right because they are shorter. They conclude that the right extensors need to be fired to pull the tower (the spine) back up. There are a lot of issues with this theory. If you’ve ever looked at someone who has scoliosis with a bare back, the spinal extensors on the convex side are big and beefy looking (despite physically being longer compared to the concave side). The concave spinal extensors (despite being shorter) are usually atrophied to almost nothing. Sometimes they don’t even fire. The researchers refer to the right bulkier muscled side as bring the “weaker side”. While the right side is the longer side of the spinal extensors, it is not necessarily the weaker side. The main focus should not be to make the long, overworked spinal extensors to work more and become shortened. That’s simply incorrect. Initially, you’ve got to look at another group of muscles to help. The muscles further away from the spine in the ribcage actually act as more efficient guy wires than the spinal extensors, which are the trapezius and rhomboid muscles. The spine is physically closer to the shoulder blade on the right side in people with scoliosis in the rib cage where the spine bends to the right. What you don’t want to do is make the spine become even closer to the shoulder blade by shortening the muscles that connect them. If your right hand is on the floor for a side plank, you’d fire the right rhomboids and trapezius muscles more, strengthening already too short muscles. It makes no sense. If you focus on the muscles on the right side initially, you’ll end up in muscles spasms. Muscles don’t push on bones, they pull. If the goal is to pull the spine back to a more neutral position, you’d do a plank with the left hand down. This would fire the left rhomboids and trapezius muscles, which would then pull the spine back towards the left shoulder blade to a more neutral position. There were 25 people initially in the study, of which only 19 complied. The researchers acknowledged this was a very small sample size. There were two different types of scoliosis allowed in the study: adolescent idiopathic scoliosis and degenerative scoliosis. This is a giant red flag, as the two types of scoliosis are quite different. Idiopathic scoliosis usually has at least two curves and the research shows that seven patients had secondary curves. Meaning that seven patients with “S” curves had idiopathic scoliosis and the last 12 compliant patients with a single “C” curve had degenerative scoliosis. Therefore, less than half of the study participants had idiopathic scoliosis. However, most of the news coverage stated that this research was for idiopathic scoliosis, which is incorrect. Degenerative scoliosis usually shows up after the age of 40 and is oftentimes associated with osteoporosis. There were people in this study as old as 85 and their degrees of curvature were much higher than those with idiopathic scoliosis. Of the seven people that had idiopathic scoliosis, their curvatures ranged from 6 to 43 degrees in their initial X-ray. Of the 12 people with degenerative scoliosis, their initial curves ranged from 10 to 120 degrees. That’s a huge discrepancy in curvature on the top number. While comparing the beginning and ending Cobb Angle degrees for 22 patients in the research, (25 were initially in the study, 19 complied…yet 22 patients’ info was given on a particular line graph, indicating that data is missing), everyone who had an initial Cobb Angle ABOVE 40 degrees had a huge decrease in their final Cobb Angle measurement. Only one person with idiopathic scoliosis was above 40 degrees, the other six were below. The numbers are not nearly as impressive for degree changes under 40 degrees, with three of the curves actually increasing. The individual patient who initially started with a 43 degree Cobb Angle had a huge decrease in his or her final X-ray measurement, ending around 12 degrees. As the mean research statistics are combined, that huge decrease figure offset the other six. It turns out the numbers aren’t as impressive as initially suspected. There were eight patients who had very severe scoliosis, with their initial X-ray indicating their Cobb Angle measurement ranged from above 50 degrees, all the way up to 120 degrees. Since we know the highest measurement for someone with idiopathic scoliosis was 43 degrees, we know that everyone above that number had degenerative scoliosis. They most likely also had osteoporosis and were above the age of 40. Even though the two different groups of people with scoliosis most likely had a big age discrepancy (“adolescent” would imply 18 years-old and younger) of idiopathic being age six to 18 and degenerative being age 40 to 85, both groups as a whole had their Cobb Angle’s decrease. Another flaw lies in the timeframe in which the second follow-up X-ray took place, ranging from three to 22 months later. That’s a wide, expansive range of time. Yet regardless of the lengthy follow-up timeframe, the differences between idiopathic and degenerative scoliosis, the huge discrepancy in age, the expansive range of the initial Cobb Angle, AND doing the side plank on the wrong side, this study showed an overall decrease in scoliosis curves. This still wasn’t making sense. I had to dig even deeper. So, why did this research show positive results? I think the secret lies in core engagement and correct alignment. The patients were taught to elevate the ribcage towards the concave side (which would be the ceiling in the researchers case) before doing the exercise, which would bring them to better overall alignment. Also, despite there being only 19 compliant patients, a total of seven different modifications of the side plank were given (although none of the publications that reported on this research managed to include this important information). Many of the variations included some kind of strengthening for the concave side, be that pushing the free hand down on yoga blocks or holding a yoga strap to pull the top leg up. Take away: you must modify each exercise for the individual scoliotic body in front of you. In summary, the majority of people with scoliosis in this study had degenerative scoliosis, most likely also had osteoporosis, and were probably over the age of 40. We have no idea what their exercise routine and strength level was before this study. I’ll bet there’s a high possibility that just the act of firing all the muscles in the body in an anatomically correct posture was the reason for the profound decrease in their Cobb Angles. Unfortunately, there isn’t a one exercise magic pill for people living with scoliosis. I mean, come on, with a mere 19 compliant patients SEVEN modifications were given to just ONE exercise. The researchers couldn’t even find one simple exercise for all 19 patients! That’s right: the researchers gave seven different exercises to their 19 compliant patients. Not one, but seven. This proves that you must mold exercises for each and every scoliotic body in front of you…and that’s what these researchers did. That is a big reason for their success. In conclusion, even with all of the flaws in this study, the researchers still found an overall improvement in Cobb Angle measurements by doing an exercise one-and-a-half minutes a day, five days a week. That’s incredible! This would lead one to believe that exercise, no matter how incorrect it may be, can still have positive results on scoliosis if correct alignment is involved along with the muscles of the core being fired. Now THAT’S something to consider, and certainly something that needs to be studied further. Can you imagine what research would find if they redid this study doing the correct side plank? What do you think about all this? I’d love to hear your feedback. What side would you do the side plank on if you have an S curve? Wow!! Great stuff and great hope for me!! I have scoliosis and am actually doubting the benefit of exercise. Thanks! I have inverted S curve and would love u to recommend some exercises! Good and correct exercise can do mounds of good for your scoli! Don’t give up hope. I have many resources to help you figure out the best exercises for you and you can find them on the shop page of this website: https://spiralspine.com/spiral-spine-online-store/. I also have resource that is not yet on the website, and that is Analyzing Scoliosis, a continuing education video available here: https://fusionpilatesedu.com/courses/workshops/analyzing-scoliosis/. I will have 5 more videos released with Fusion Pilates Edu in the next 2 years, so stay tuned! Start with some of the resources I listed and then we can go from there. I hope this helps. Thank you very much for this writing. I like your thoughts and reasons. I have lot of idiopathic adolescent scoliosis patient. All are T-L scoliosis with rotation. I am doing exactly what you said. Weight bearing on the concave side in plank posture. Of course, I give other exercises also, esp the core muscles with self stretching / strengthening, Taping and auto correction in front of the mirror. It is helping them. At first I emphasize on Lumbar – thoracic should follow through . Is there any way we can do plank posture along with derotation exercises? The correct side is the concave side down (lumbar) no matter your secondary thoracic curve going to the right? , the spinal extensors on the convex side are big and beefy looking (despite physically being longer compared to the concave side). The concave spinal extensors (despite being shorter) are usually atrophied to almost nothing. Sometimes they don’t even fire. Hello I am 55 female, upper right thoracic 55deg lumbar left 32deg. Idiopathic. I have recently corrected my thoracic curve by 7degrees. No fusion. My bulky length of muscles are on the left, concave part of the thoracic area- a little lower, perhaps centred just above the waistline. Not the right. My weakened muscles are definitely on the convex side of the thoracic curve. However, if i perform a modified plank on the right, without using my right arm as a lever but pushing down with the right leg and left arm, bracing myself using the right shoulder against the floor, I feel the maximum pain relief and pull against the scoliosis. I just want to add that I beleive I have corrected my curve by using ergotherapy, not exercises. Because the autonomous nervous system is unconscious the exercises must be performed whilst doing activities of daily living. ADL’S. which tricks the brain. If exercises are conscious they are still usefull but less effective. In my opinion a right side plank WILL partly correct A RIGHT THORACIC CURVE. I think your ther critique of the study is valid, however because there are definitely flaws in the amount of tests and the standardisation of testing. How can you say the exercises are incorrect if they work. This article is majorly incorrect, side planks do not work the traps and rhomboids, it primarily focuses on obliques and lats. I don’t see how the study you presented has flaws. If i were to do a side plank just on my right side, over time i would develop laevoconvex scoliosis. So when you talk about a side plank on the convex side being “incorrect”, there is no logic in that. Like you said there is no ‘magic pill’ so of course every scoliotic patient needs to be catered to differently. That’s like saying everyone who is sick could be treated with the same drugs. It’s just an obvious no. Hi Toby, in a million years I truly could never have imagined that this simple rebuttal article of mine would cause such waves in the scoliosis world. I’ve corresponded publicly (on this blog) and privately (via email, on the phone, and physically seeing clients at my studio) with people who are confused on which side to do the plank on, people who think I’m wrong, people who think I’m right, people who’s scoli has gotten worse by doing the side plank the way the article says, and people who’s practitioner gave them this exact exercise on the side the research suggests. Yes, there is no magic pill. Now, for the side plank muscles. Yes, obliques and lats are some of the prime movers in a side plank, but they alone are not going to be muscles directly responsible for moving the spine back to center. I’f you just focus on lats and obliques working you’ll end up with extreme muscle strength discrepancy in your back. You’ve got to focus on smaller, spinal muscles that have a direct line of pull on the spine (like traps and rhomboids). I’ve had many Schroth practitioners who’ve reached out to me privately agreeing with my stance. The way I suggest is in Schroth’s original book. That being said, we need more research that is pushed out the the public on exercises that help scoli that people can understand because obviously the mass of the scoli world is hungry for it. Hi. I am also a Schroth P.T. and I have 2 thoughts. 1) I have never thought of the thoracic convex side as beefier. I have thought that the ‘apparent’ muscle hypertrophy is generally explained by muscle and other soft tissues resting on significantly rotated ribs. If derotation can be achieved with exercise, improved symmetry occurs. 2) Interestingly, I have found that almost everyone with scoliosis has a weak right gluteus medius. For degenerative left lumbar scoliosis – or adolescent onset scoliosis of the Lehnert-Schroth 4C classification – where in either case, there is most often a shift of the hips to the right, strengthening the right glut. medius would assist with the hip shift to the left, create balance, and likely some benefit. I teach mainly classic Schroth exercises for my clients, but I do teach basic core exercises as needed (I have been a Back Care P.T. for > 30 years). Sometimes I include a modified side plank on the convex thoracic side, not specifically because of what it does for the scapular stabilizers, but for what it does for a weak right glut. medius. relieved mother couldn’t hear, she whispered, “Yes, I did”. Hip shift is huge for some of our clients. Thank you for you comments. I too have seen glute med weakness, and have it myself. Last week I actually bought a pair of MBT shoes to help my glute med’s fire while I’m on my feet teaching throughout the day. I woke up this morning with some tired glute med muscles (specifically right) because I found out how to work them during my every day life. Woo hoo for scoli glute med’s getting stronger! Keep loving on the scoli community.